As a savvy Hatchbucker, you may be wanting to set up different automations based on things contacts select from your online form. For example, you may want to start someone on a nutrition specific campaign if they select "Nutrition" as one of their primary health & wellness goals. 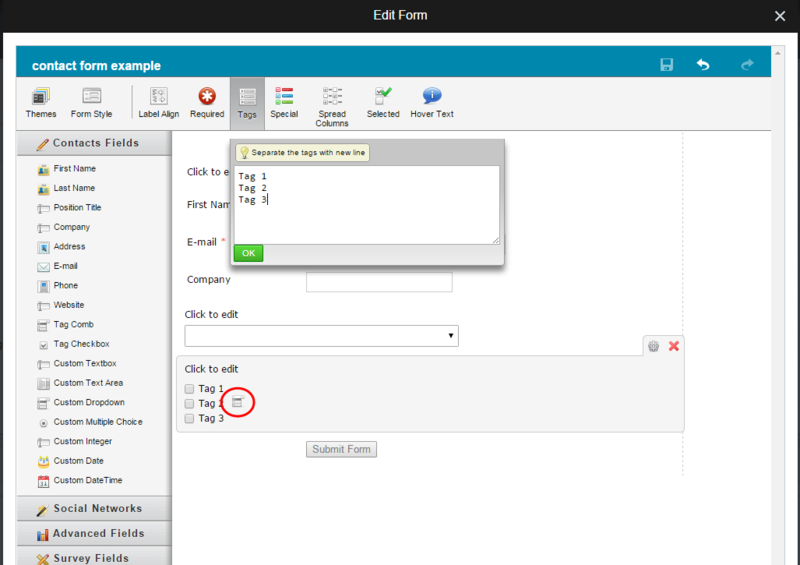 You can do that by creating a Tag Rule based on fields in the Tag Comb or Tag Checkbox in your form. Click and drag the options to where you want them to appear on your form. 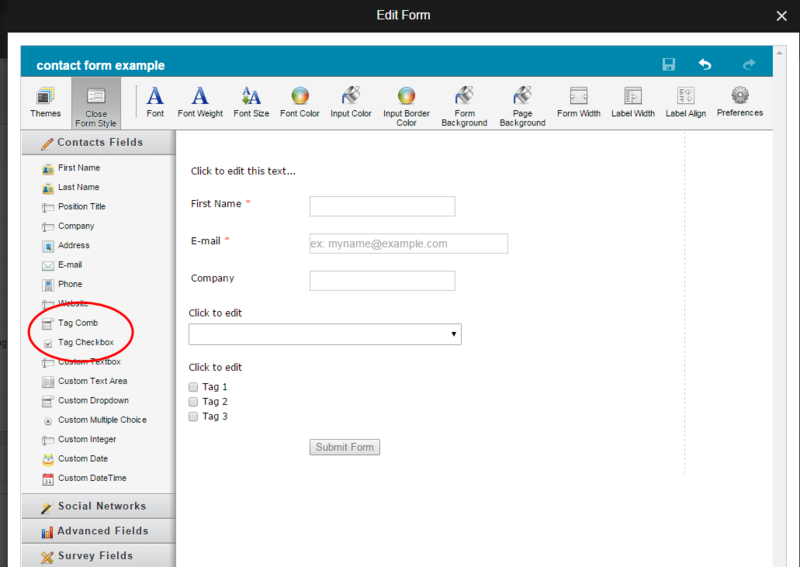 Click on Close at the bottom of your form template to finish. NOTE: If you ONLY want this rule to apply to form submissions, make sure the title of your tag in the form is different from ALL OTHER tags in your system. If you use the same tag on your form and within your system, the rule will apply for all contacts who reach the tag score.